Please send all questions, requests for interviews, and other inquiries to tdrbach@gmail.com. Creative team: Timothy Bach (writer); Brian Atkins (penciler); Jeremiah Lambert (inker and letterer); Juan Romera (colorist). Print (via Indy Planet at http://www.indyplanet.com/store/product_info.php?products_id=7481). 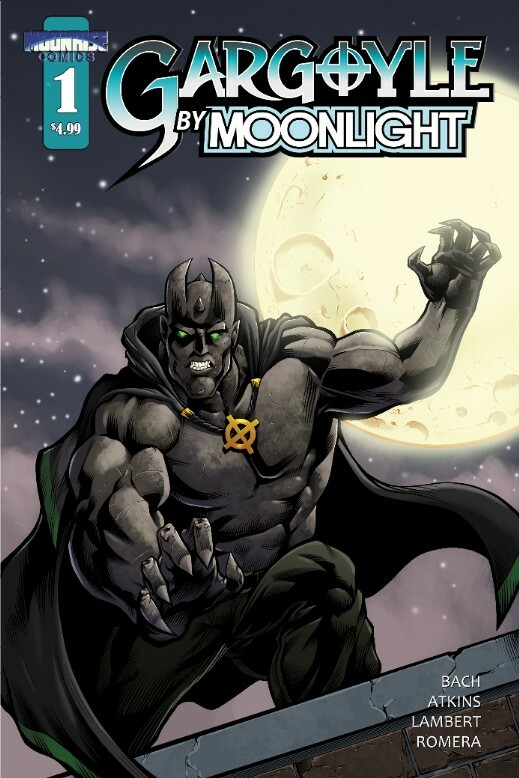 Learn more about the characters of Gargoyle By Moonlight. Click for samples of the beautiful artwork and storytelling inside Gargoyle By Moonlight. Feel free to use these images in your stories and reviews.